Happy Monday AND April Fools!! Nicole here today and sorry to disappoint but I am not "fooling" you this time around ;) Instead I have a spring inspired card to share with you. We have enjoyed some beautiful spring like weather out here in the Pacific Northwest but I am well aware not everyone has been receiving the same weather so this is my way of sharing some "spring" with all of you!! Hope it brightens your day!! I started off by creating my background using some distress inks on watercolor paper. I cut out my cloud border using the "Border Dies 2" and added some diamond stickles on the edge. 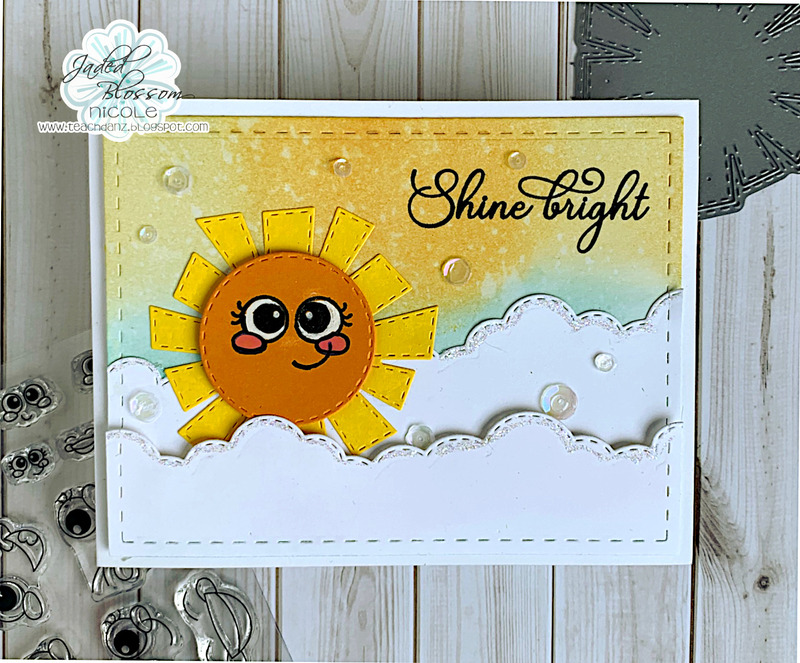 The sun is cut out from the "Spring Dies 2" and the face is stamped using "Big Eye Faces". 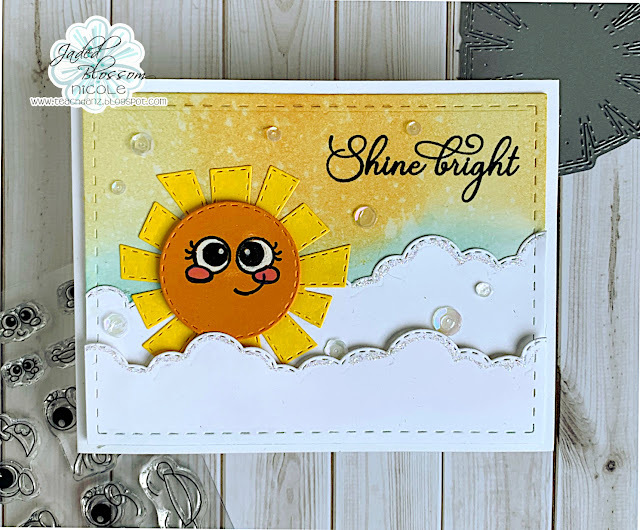 My whole background layer is cut out using "Card Mat Dies" and lastly I stamped a sentiment from "Sparkle and Shine". So Pretty! LOVE the Suns Face! Too CUTE!